People love going to the theatre. Whether it’s to see a large scale show, a small independent play, or a symphony orchestra, there is something for everyone. However, the theatre experience can be full of tricky acoustic environments for people with hearing loss. 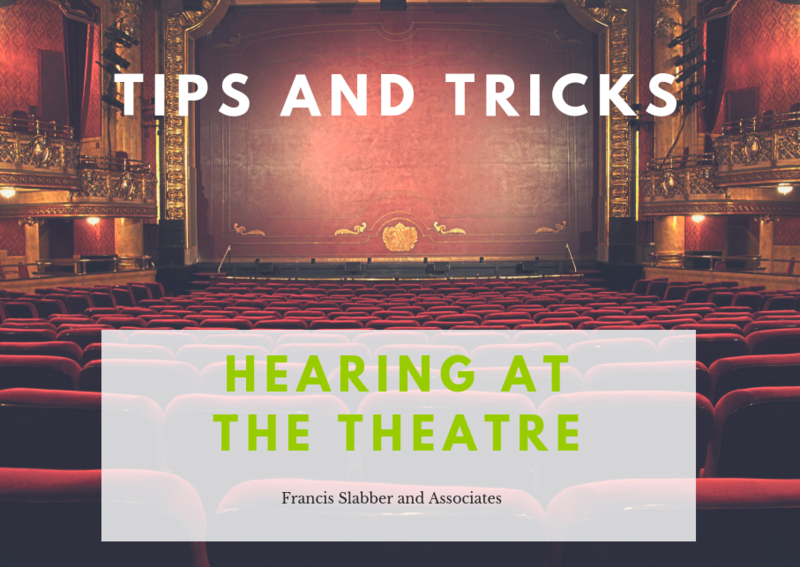 Here are some tips and tricks on how to get the most out of your visit to the theatre with hearing loss. Get your tickets before the day of the show. The ticket office can sometimes be very busy, and often you need to speak to someone through glass- making it difficult to hear. To avoid this stressful situation, buy your tickets online before the show, so that you already have them when you arrive. Purchase a seat in the right area. If you are lucky enough to be seeing a show at a theatre that has a loop system installed, make sure you are seated within the range of the system. Unfortunately, loop systems in theatres in South Africa are few and far between, but it’s definitely worth asking if you wear hearing aids and have a telecoil function. If there is no loop system, get the best seats you can- centre middle is best, as you are most likely to be able to see the faces of the actors and miss less dialogue. Don’t forget your hearing aids (or your glasses!). Make sure that you have your hearing aids on and that they are working well- use the volume control function or a music problem if you have it to make sure that you can hear comfortably. If you need them, wear your glasses, especially if there is dialogue in the show that you don’t want to miss. Find a quiet corner at interval. You will always hear better if you try to find an area that isn’t as noisy. Avoid the concession area and rather find a quiet corner where you can chat without having to compete with lots of other voices. Remember to look at the person you are speaking to, and switch to a directional program on your hearing aids if you have one. Whatever your choice in entertainment, it is possible to enjoy the theatre even with hearing loss. If you have any questions, or you need help with setting up your hearing aids to help you in this tricky situation, contact your audiologist or comment below.